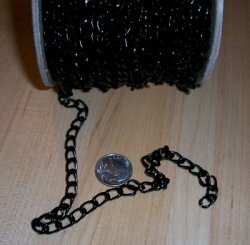 Very lightweight chain for jewelers. This chain has a link that is about 9mm x 5mm (see dime in photo for scale). Sold by the foot. 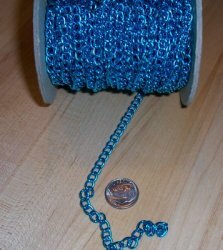 Very lightweight chain for jewelers. This chain has a link that is about 5mm x 7mm (see dime in photo for scale). Sold by the foot. 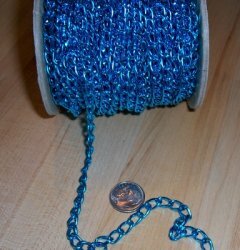 Very lightweight chain for jewelers. This chain has a link that is about 9mm x 5mm (see dime in photo for scale).